Portland, Oregon – Today Infinity Softworks celebrates 21 years in business by re-launching its flagship software calculator, PowerOne(R). PowerOne is a different kind of calculator that focuses on quickly and accurately performing repetitive calculations, a critical function for businesses ranging from finance, banking and investing to sales, construction and engineering. PowerOne focuses on quickly performing repetitive calculations error-free. These calculations are needed by workers in the field to accurately predict materials, loans and leases, or margins on sales, for example. 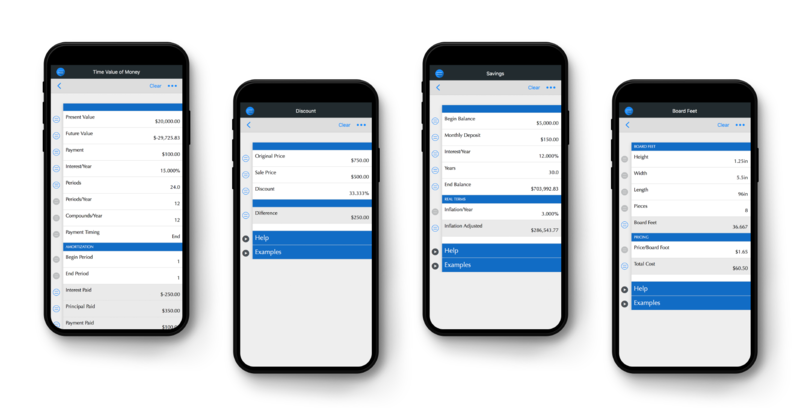 PowerOne turns calculations into mini-spreadsheets, called templates, that function on any desktop and mobile browser or in the iPhone and iPad application released today. 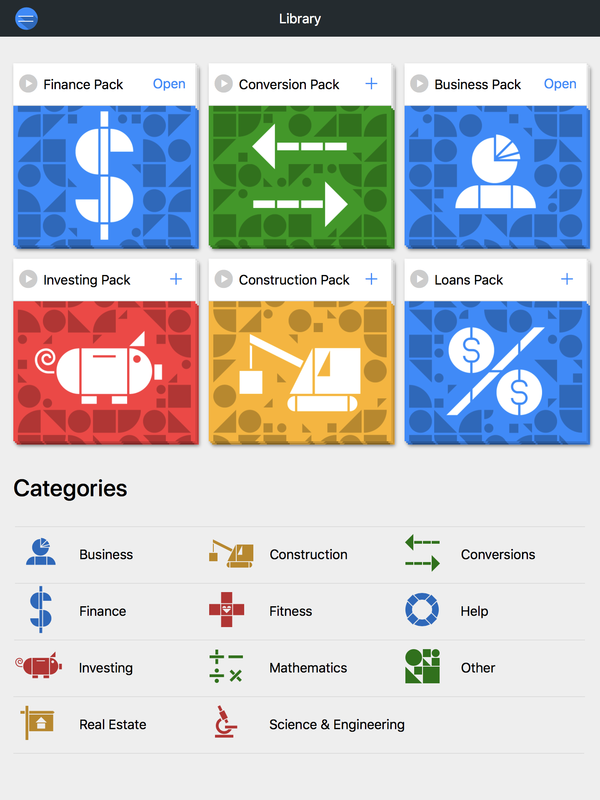 PowerOne 5.0.1 is free to use on the web and iOS devices, including access to over one hundred pre-created templates, the ability to create your own templates, synchronize across your devices, and utilize a full-featured standard and RPN calculator on iOS devices. Based in Portland, OR, Infinity Softworks, Inc., has been creating calculator software since 1997. Its products have been distributed to more than 20 million users on platforms ranging from iOS, Android and Windows to Palm, Windows Mobile and BlackBerry. Infinity Softworks’ products have been licensed by The College Board, DEWALT Tools, Sony and many others. PowerOne was voted top Finance App by Apple in 2010. All Material and Software (C) Copyright 2018 Infinity Softworks, Inc. All Rights Reserved. Apple, the Apple logo, iPhone, iPod and iPad are registered trademarks of Apple Inc. in the U.S. and/or other countries. Other trademarks and registered trademarks may be the property of their respective owners.